You know there’s a special day for everything when there’s a National Croissant Day, which Americans celebrate today (January 30). Now you have a perfect excuse to get your mouth married to some buttery, flaky goodness! Though we couldn’t find an origin for National Croissant Day in the United States, there IS a clear origin for croissants themselves. Crescent-shaped breads have been found around the world for many, many years, but a popular variety was the Kipferl, originating in Austria in the 13th century. This was a non-laminated bread, however, so it didn't have the characteristic buttery taste of a croissant. 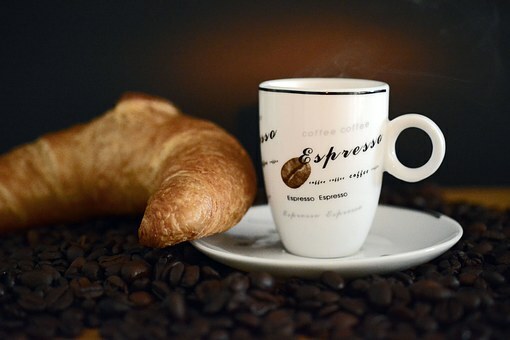 The croissant we know today originated with an Austrian military officer, August Zang. It goes through laminating, during which butter is folded into the mixture to create multiple thin layers of butter and dough. In 1939, Zang opened a Viennese bakery in Paris introducing France to Viennese baking techniques. Ah ha! And I always thought the croissant was a French invention. Next, they’re going to tell us the Eiffel Tower originated in Texas? Humph! The croissant’s iconic shape is, of course, the crescent. But Tesco supermarkets in Britain have recently caused a ruckus by stating they’ll sell only straight croissants from now on. As it turns out, this is a non-issue (but a good PR stunt!). 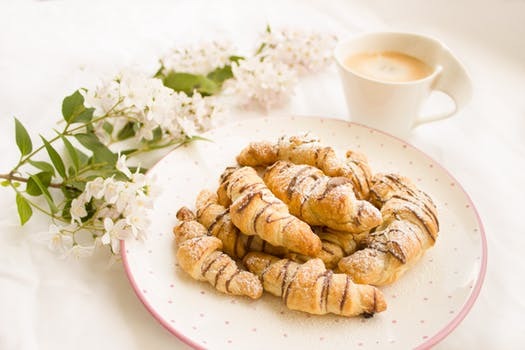 There's no requirement to curve croissants into crescents because straight croissants are already popular in several places. In France they’re commonplace and apparently present a superior buttery taste. In all likelihood, you will be eating a supermarket croissant. Within certain boundaries (stale croissants are a strict no-no), that’s fine. Like ice-cream or chocolate, there is no such thing as a truly bad croissant, only ascending levels of pleasure. If you can spend as much as 75 pence ($1.05) on a croissant, some of the supermarket versions aren’t bad, especially if you warm them. A cold croissant is lifeless and stodgy—a pale imitation of its heated cousin. To reveal its flaky, buttery charms and ensure maximum contrast between that crisp shell and its soft, pillowing inner folds, a croissant needs warming through. It needs some colour in its cheeks. They also suggest pairing your buttery croissants with a huge mug of hot coffee for dipping, which enhances their sweetness. We at Koffee Kompanions suggest making a whole French press full of coffee (don’t forget your Koffee Kozee cover to keep it warm while it brews!). Invite some friends over and have a croissant party. Why not? If a big party is a little too much, then a great way to celebrate this yummy holiday is to just run down to your favorite bakery and buy one (or ten). But wait! If you are a genius in the kitchen, an even better way to show you’re super committed is to bake some yourself! This is a wonderful recipe from Saveur, which has detailed instructions and excellent tips. Let us know how it goes! And let us know in the comments if you have entertaining stories involving croissants or, at least, how you celebrate National Croissant Day!